Looking for a Stuffing Recipe? I’ve Got 3! 1) Sausage & Apple, from chef Chase Gerstenbacher of Hopewell’s Brick Farm Market, where the turkeys come from the market’s own Double Brook Farm. 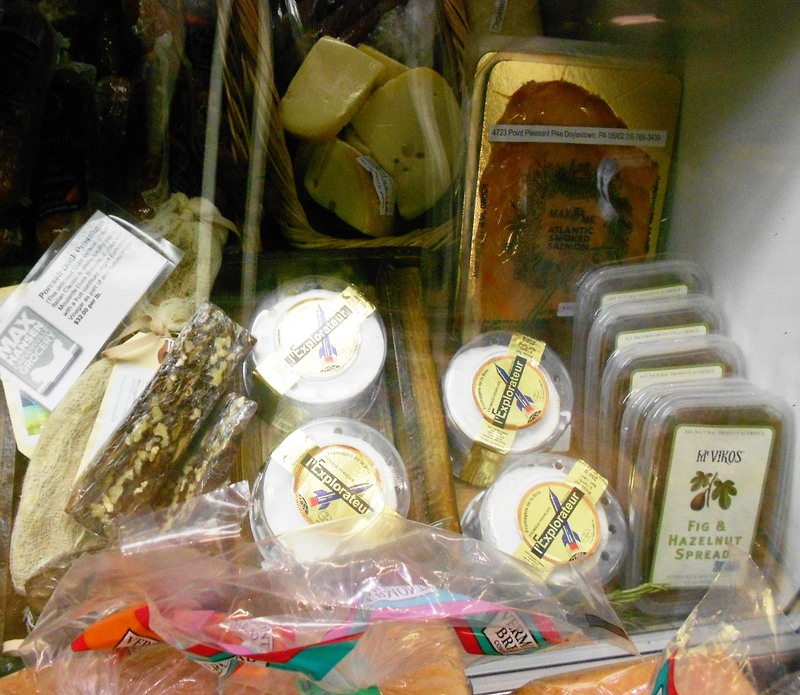 2) Wild Rice – naturally gluten free – from Marilyn Besner of Lawrenceville’s Wildflour Bakery & Cafe. 3) Classic Bread & Herb, the recipe my family hasn’t let me depart from for more Thanksgivings than I care to count. 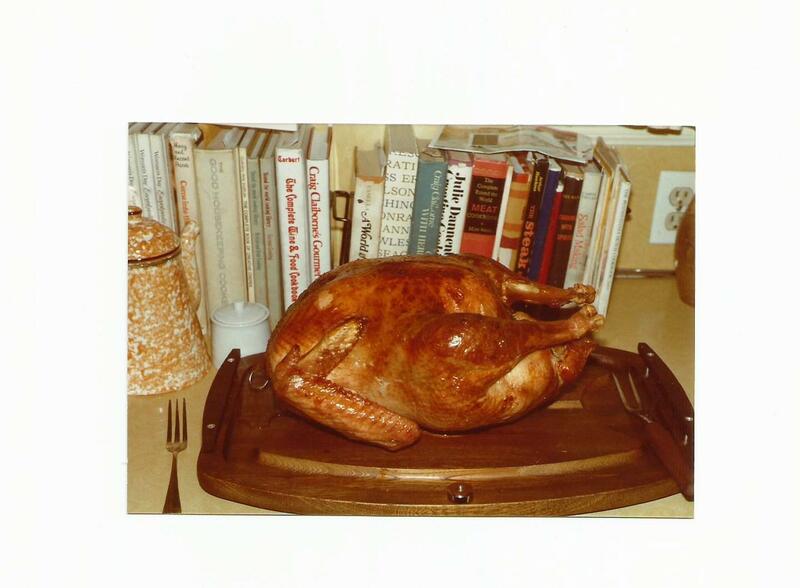 It’s inside the bird pictured here, taken at the first Tanner Thanksgiving. (Not bad-looking for my inaugural bird.) These recipes, below, are reprinted from my In the Kitchen column in the November 22nd issue of the Princeton Packet. “We will be featuring this sausage and apple stuffing in our prepared foods case this Thanksgiving. I generally stay away from actually stuffing it inside the raw turkey because I find that by the time the center of the stuffing is hot enough the turkey is usually overcooked. If you want that classic look to present your turkey you could cook them both separately and then spoon the stuffing into the bird just before taking it to the table.” –C.G. Preheat the oven to 350 degrees. Melt the 2 tablespoons of butter in a large sauté pan over medium heat. Add the onions and celery, season with salt, and cook until the veggies start to become soft and are very aromatic. Add the garlic and cook for another 1 to 2 minutes. Add the sausage and cook until the sausage browns. Stir in the apples and apple cider and cook until the apples start to soften, about 3 to 4 minutes. Sprinkle in the sage leaves and turn off the heat. Transfer mixture to a large, deep ovenproof dish (roughly 9 by 11 inches) and bake until stuffing is hot all the way through and crusty on top. Cook the wild rice with 3 cups water and set aside. Heat the oil in a sauté pan and sauté the onion and celery until softened. Add the mushrooms and continue cooking until fragrant. Remove from heat and add the cooked rice and the prepared chestnuts. Season to taste with tamari, salt and pepper. Preheat oven to 275 degrees. Spread the bread cubes on baking sheets and toast in the oven until lightly browned. Allow cubes to cool on baking sheets. In a very large bowl combine the cubes with the parsley, sage, salt, pepper, thyme, and marjoram and toss the mixture well. In a large heavy skillet melt the butter and add the onions and turkey liver. Sauté for 10 minutes, stirring occasionally. Add the celery and cook for 5 minutes. Transfer the mixture to the bowl of bread cubes and add the egg, chicken stock, and cream. Combine well and let the mixture cool before either stuffing the turkey or baking it in an ovenproof pan until heated through and crisp on top. 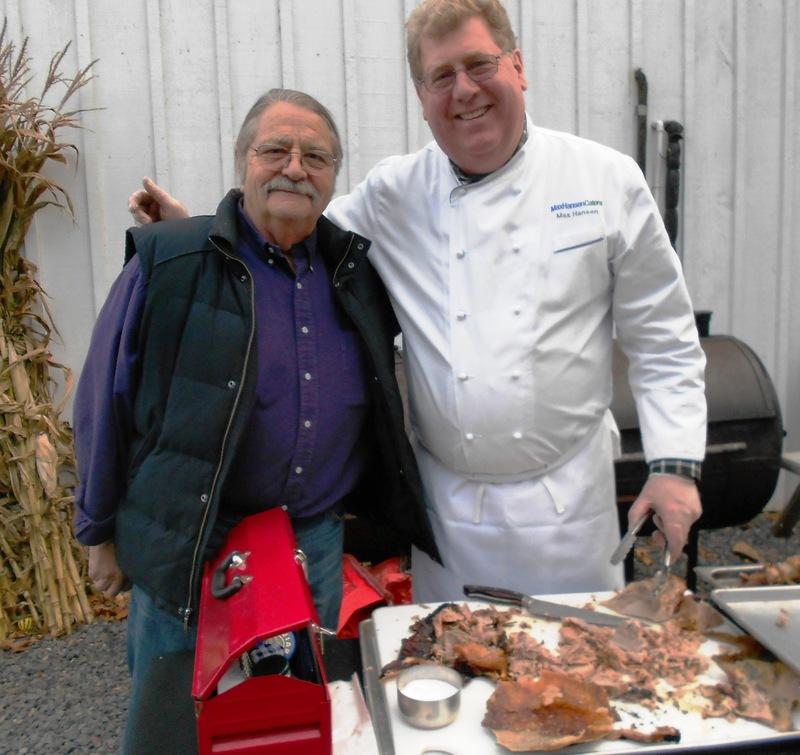 I can’t decide what I like best about the recent takeover and revamping of what for decades had been the Carversville General Store in rural Bucks County, PA. Is it the fantastic breakfast and lunch sandwiches and other prepared foods of accomplished chef and caterer Max Hansen? The genuinely friendly demeanor of Max and his staff? The idiosyncratic collection of groceries and household goods stuffed onto the shelves? Or perhaps the fact that the Carversville post office is still located inside the store? 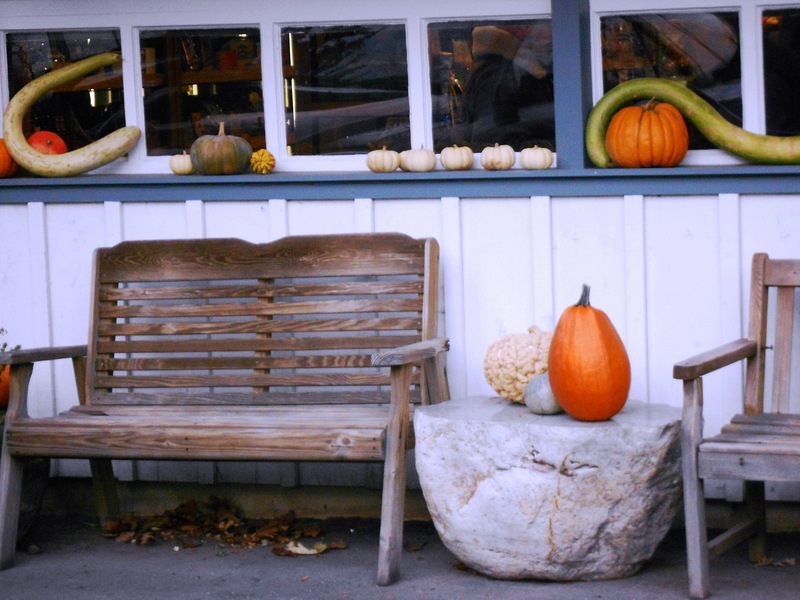 Well, all of the above, plus the store’s picturesque bucolic setting on Fleecy Dale Road. Yep, Fleecy Dale. I stopped in earlier this month during the store’s Customer Appreciation Day. Here are just a few of the impressions I took away – including an unexpected, on-the-fly interview I snagged with a bona fide TV celebrity. Let’s start with that. 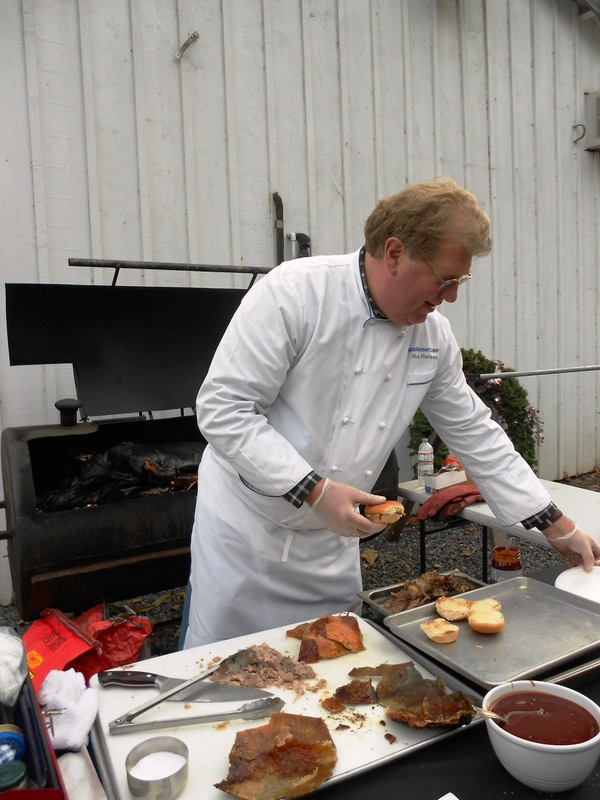 Above is Hansen at work fixing barbecued pork sliders using the whole Berkshire pig he had slow-smoked earlier that day. It went well with his smoky baked gigante beans, mac & cheese, and sautéed broccoli rabe. Hansen is most renowned for his smoked salmon – he even wrote a cookbook of smoked salmon recipes. Tasting his salmon made me realize how I’ve been settling for inferior versions. His is subtle – not overwhelmed by salt or smoke, and rich but not oily. You don’t have to take my word for it: Hansen supplies Thomas Keller’s restaurants and, closer to home, Agricola in Princeton. A package is in the rear right, above. If you look close, you’ll also see charcuterie from Porc Salt. A real charm of the store for me is the high-low mix of products juxtaposed on cluttered shelves. Porc Salt salami, yes, but also Taylor ham. 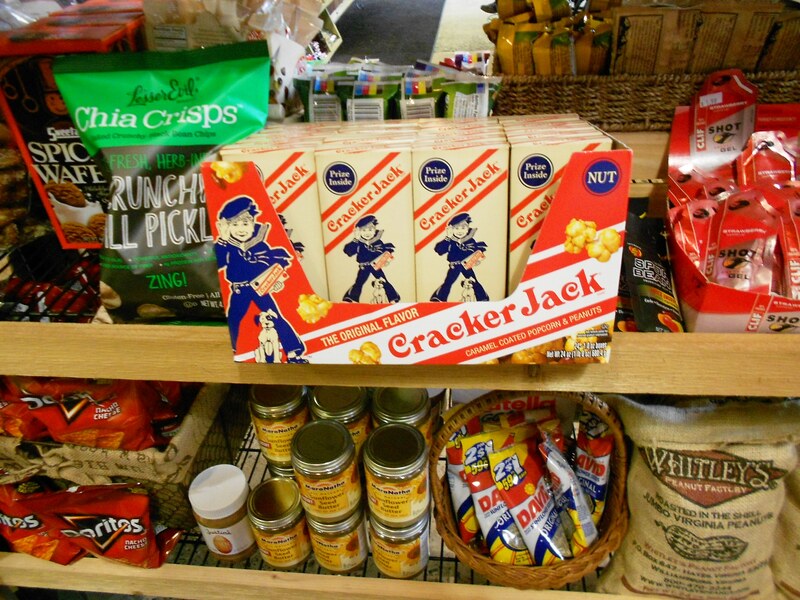 Cracker Jack next to chia crisps. Boxes of Jell-O pudding and burlap bags of Virginia peanuts. Growing up, the Hansen family was close with Julia Child’s. He counts her as a major influence, and among his prized possessions are two of her knives, which he still uses. 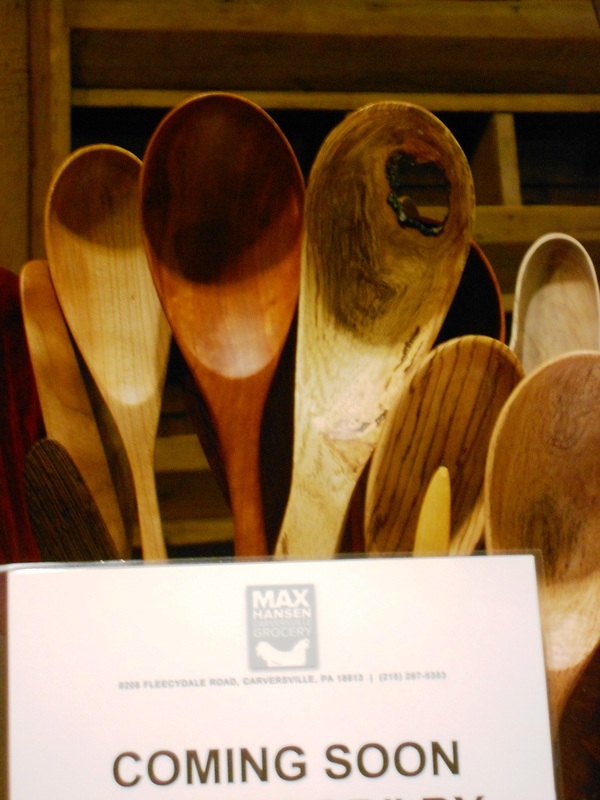 Ask him for stories when you visit Max Hansen Carversville Grocery. 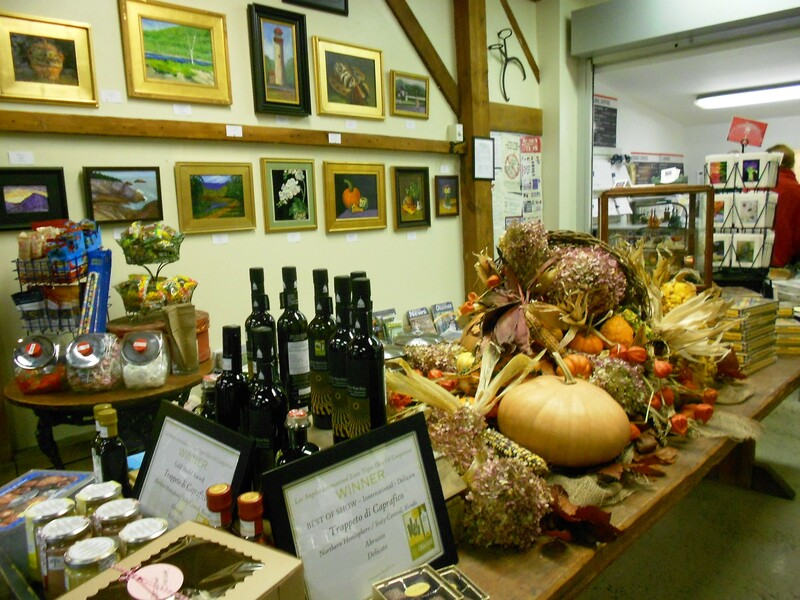 By the way: the store is located across the street from another Carversville institution: the excellent Carversville Inn. This entry was posted in Favorite Finds, Interviews, Recipes, Restaurants and tagged Agricola, Antique Roadshow, Brick Farm Market, Carversville Grocery, Carversville Inn, Chase Gerstenbacher, Double Brook Farm, General store, Jell-O, Julia Child, Marilyn Besner, Max Hansen, Noel Barrett, Porc Salt, Princeton Packet, Taylor ham, Thomas Keller, Wildflour Bakery Cafe. Bookmark the permalink.